Speaking My Language Programme | An innovative language skills and cultural competency development programme of activity funded by the AHRC. Speaking My Language is an innovate language skills and cultural competency development programme of activity funded by the AHRC. It is open to doctoral and early career academics working in the Arts and Humanities at the Universities of Dundee, Glasgow, Edinburgh, St. Andrews, Stirling and Strathclyde. 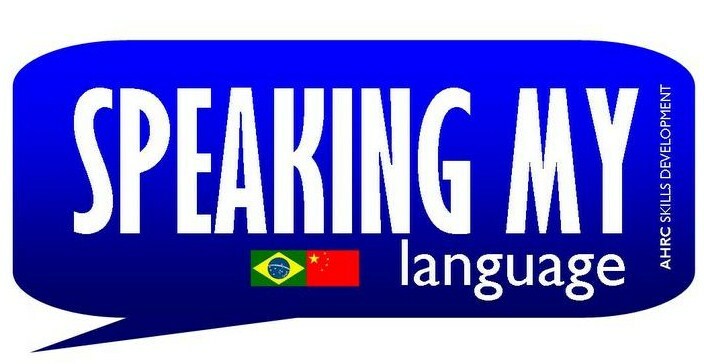 The programme provides an opportunity to learn basic Portuguese or Mandarin language, and to spend time in Brazil and China. I’m interested in this programme to widen my horizons in the academic world, and would be glad to know more about your programme, thanks, Ruth. Details of the programme were sent to me through a mailing list at the University of Manchester – but am I correct in understanding that the programme is only available to academics at the universities of Dundee, Glasgow, Edinburgh, St. Andrews, Stirling and Strathclyde? many thanks for your interest in the programme. You´re correct. The programme is only open to doctoral and early career academics working in the Arts and Humanities at the Universities of Dundee, Glasgow, Edinburgh, St. Andrews, Stirling and Strathclyde.